Kosovo Erasmus+ Office (KEO) assists the Commission, the Executive Agency and the local authorities in the implementation of the Erasmus+ Programme. 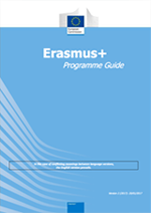 KEO is the focal point for their stakeholders involved in the Erasmus+ Programme in the area of higher education and contributes to improving awareness, visibility, relevance, effectiveness impact of the international dimension of Erasmus+ programme. following policy developments in the field of higher education in their country.